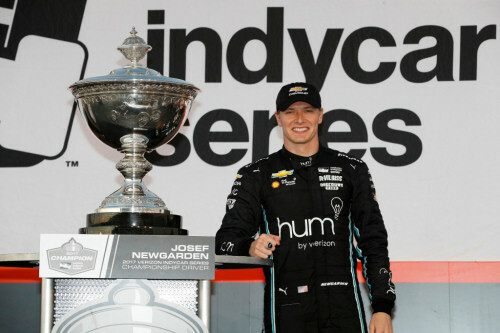 Josef Newgarden took the lead of this year's Verizon IndyCar championship by scoring his third win of the year at Mid-Ohio at the end of July. In his first year with Team Penske the 26 year old Newgarden went on to win his first IndyCar title after finishing second to teammate Will Power in the Pocono 500, beating teammate and defending champion Simon Pagenaud at Gateway and recovering from a mistake while exiting the pits at Watkins Glen to take the pole for the season finale at Sonoma and lead most of the race before finishing a close second behind Pagenaud. UK Formula Ford Festival winner in 2008, Indy Lights champion in 2011, Newgarden went Indy car racing with Sarah Fisher in 2012, scored his first big league win in 2015 and earned his job with Team Penske with an impressive win at Iowa last year a few weeks after breaking his collarbone in a big accident at Texas. 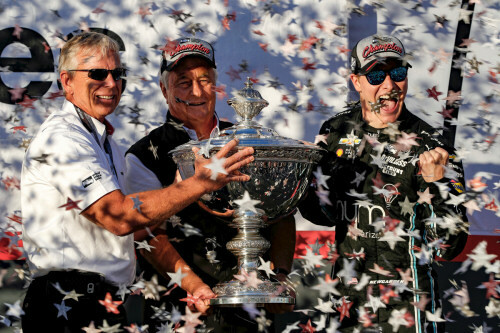 Newgarden has always been an aggressive but smart driver and it was no surprise to see him earn his first and Penske's 15th IndyCar championship this year in his first season with the team. "There are a couple of races that stand out," Newgarden recalls. "The first was Barber Motorsport Park where we got our first win of the year. That was a very exciting weekend, a solid weekend and a lot of fun. We had a test day there so we knew what to do. We were quick in practice and we took some risks in qualifying that didn't pan out, but we were quick in the race and were able to win. "Another solid weekend was Detroit. We got two top fives from the two races in Detroit and that was a good result and recovery after the difficulties we had at Indianapolis. Then we had a great weekend in Toronto and won the race and followed that up with good races at Mid-Ohio and Pocono." 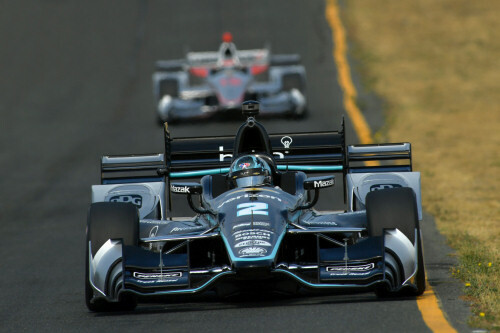 Newgarden battled with Will Power at Mid-Ohio and Pocono. He made a superb pass of Power at Mid-Ohio to score his third win of the year and fought hard to finish a close second behind a resourceful Power in the Pocono 500. At Gateway he muscled his way inside Pagenaud to record his fourth win of the year and after messing up at Watkins Glen he came back to take the pole, lead most laps and finish a strong second in the season closer at Sonoma. "It's great to be able to race with your teammates, especially as it came down to the closing races," Newgarden remarked. "Will is one of the best and it was great to race with him at Mid-Ohio and Pocono and with Simon at Gateway and Sonoma. We were pretty racey at Gateway and that was a hard battle with Simon. Same thing at Sonoma where he and his guys really used their heads. "All my teammates are very talented and very quick. You can't hide anything nowadays with all the data and we work together. That's the way the team operates. We work together as a team. We push each other in a positive way and in this environment you're so quick to learn. Everyone learns from everyone else and it creates a dialogue where you can apply the lessons. "We all want to beat each other and that makes for a strong dialogue between us. There's lots of conversation about improving the race set-up. Everyone has different philosophies and ideas they bring to the table each weekend to improve our performance." All this cross-pollination helped the team dominate the last half of the season and finish one-two-four-five in the championship. Penske's cars usually looked great on the track this year, working smoothly and progressively. Newgarden has found Penske's Dallaras a little less forgiving than what he's been used to, but very effective. "It really is amazing how much capability we have at this team," he observes. "They are able to produce different feels in the car's platform. Sometimes it doesn't feel so good but the cars always produce a lot of lateral grip. If you can get past the feel you discover there's a lot of performance underneath it. "I've always preferred a car that felt good and would react very quickly at the rear so I knew where I was. The Penske team has a little different philosophy and I had to take the car by the ears to get comfortable with it. But I've discovered that the performance is always there even if the comfort is not the best." Newgarden commented on the fierce competition from Scott Dixon and Chip Ganassi's team. "Scott has a great team behind him and he's proven that he can adapt to any situation," Josef says. "He's got lots of experience and doesn't make mistakes. This year we had a great battle with Ganassi's team and with Honda versus Chevrolet. There was a lot of back and forth between Honda and Chevrolet. Our cars were a little bit better on some tracks and theirs were a little better on other tracks. But Scott is a guy who is good everywhere. You can never discount him." Newgarden points out that Michael Andretti's team, winner of this year's Indy 500 with Takuma Sato, are also tough customers. "Of course, the Andretti guys were often very quick," he remarks. "They have a strong team and have been the guys to beat at Indianapolis in recent years. They've been the toughest competitors in the 500 over the last couple of years." He also has great respect for Graham Rahal. "Graham is very quick and a great racer," Newgarden says. "He should be even stronger next year in a two-car team with Sato. We will have to work very hard to have those guys covered." Josef is looking forward to testing and racing next year's much more attractive Dallara with its substantially revised aerodynamic package. "As you know, Montoya and Oriol Servia have been testing the car," he says. "It sounds like the new package will make the cars more difficult to drive and better for racing, which is what everyone hoped for. You have to work hard to keep the new car underneath you and work hard to stay on top of the car. As you know, there's more downforce from the bottom on the new car and less from the wings. That should bring the field even closer together and enable us to run closer and race better. So I think it should be more exciting for everyone. I'm really looking forward to it." Like most of the drivers, Newgarden would love to see IndyCar allow them more power. 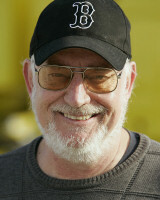 "All we need is 150 more horsepower and then we'd be all set," he grins. "We would have a car that would be even harder to drive and it would show the difference between the drivers. It would be great to have more power." Penske is re-entering IMSA's Weathertech sports car series next year with a pair of Acura prototypes. Juan Pablo Montoya and Dane Cameron will drive one of the cars and it's believed that Helio Castroneves will be the lead driver in the other car. It's probable that either or both Newgarden and Pagenaud will be third drivers for the Acuras at Daytona and Sebring. Pagenaud has plenty of experience in sports cars in both IMSA and the WEC and would be a natural choice but Newgarden would be delighted to run some IMSA long-distance races. "It should be a fine program," he says. "I loved it when Roger raced the Porsche spyders a few years ago. I love sports car racing and I would love to get involved with the program and do some testing and racing. I haven't heard anything about it so far, but I would love to be invited to be part of that program. "I love Indy cars and always have. It's some of the most competitive racing in the world but I would love to try some different things and compete in multiple forms of the sport. Like I say, I'd love to do some sports car racing and it would great to try NASCAR as well." As a Team USA scholarship winner Josef won the UK's Formula Ford Kent Festival in 2008 and raced Formula Fords and GP3 cars in the UK and Europe in 2009 and '10. He won nine Brit FF1600 races in '09, finishing second in the championship, and still has an ambition to race in Formula 1. I've written before that if Chase Carey and Liberty Media want to build F1 into a major sport in America it's essential to have a talented American driving for one of the top teams like Mario Andretti back in the seventies. Mario broke into F1 with the Lotus team, scored his first GP win with Ferrari and took the World Championship with Lotus in 1978 pushing F1 to new heights in the United States. Newgarden has shown he has the talent and it would surely be a great thing for the sport if Carey could maneuver a seat for him in one of F1's top teams--Mercedes, Ferrari or Red Bull. Anything less wouldn't do the job for Newgarden or F1 in America. "I'd love to have that opportunity," Josef grins. "That would be great. Formula 1 has always been a dream for me." Meanwhile, Newgarden is looking forward to next year and many more productive seasons to follow with Team Penske. "I'm really excited about it," he says. "There's definitely room for improvement. I was surprised how well we were able to do this year with the errors I made at Watkins Glen and elsewhere. I'm looking forward to doubling down and doing a better job next year. "We're going to start testing the new car in October and if we can continue to grow and develop like this year we should be very competitive. So I'm very excited." It's great to see Newgarden arrive at the top of the sport with one of the best teams in the business. He should be able to build an impressive record in the coming years.